The Houston Rockets might not want to add Kenneth Faried to the roster just yet. 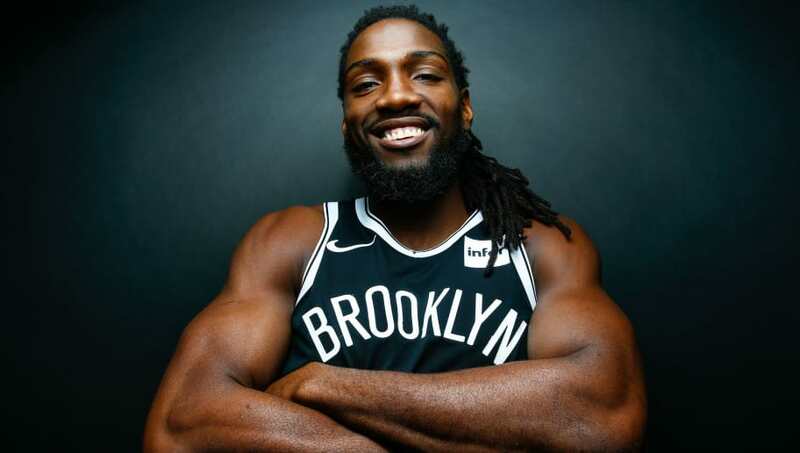 Houston looks like it's going to get a manimal-sized boost thanks to the addition of Faried once he clears waivers following a buyout with the Brooklyn Nets. Of course, the Rockets still have to move a body if they want to add a new one. They must clear a roster spot if they want to sign Faried once he clears waivers at 5 p.m. ET on Monday. Kenneth Faried is set to clear waivers at 5:00 pm EST today. If the Rockets want to sign him before tonight’s game, they’ll need to first clear a roster spot. If they can’t find a Carmelo Anthony trade in that span of time, they’ll just terminate James Nunnally’s 10-day contract. If only they had someone who doesn't travel with the team or play in games... Oh, wait. The clear option here is to move on from aging veteran Carmelo Anthony but the Rockets have made it clear they don't want to waive the former scoring champion. They still want to figure out a way to deal him, but it's something they've struggled with over the course of the season. That's unlikely to change in the next few hours. That likely means James Nunnally is on his way out, which is a no-brainer considering what Faried could potentially bring to the table. ​​It's going to be a heartbreak of a departure for those Nunnally fans out there in Houston but they'll probably get over it pretty quickly.